The Space Shuttle Enterprise display at the National Air & Space Museum. The Enterprise’s place will now be occupied by Discovery (Credits: Dane Penland, National Air and Space Museum, Smithsonian Institution). 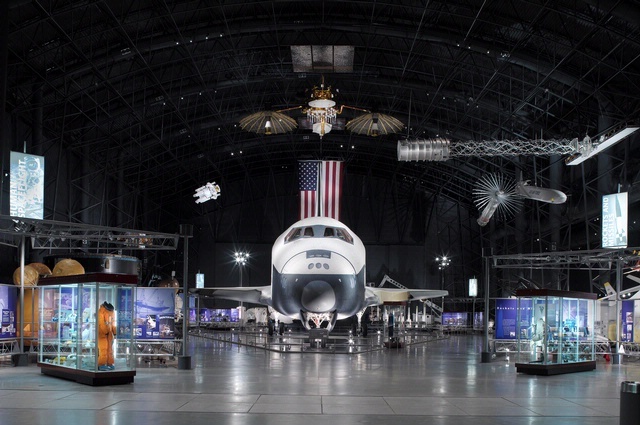 On Tuesday, April 17, NASA’s Space Shuttle Discovery was delivered as planned to the National Air and Space Museum’s Steven F. Udvar-Hazy Center in Virginia. The shuttle was flown aboard a modified Boeing 747 from the Kennedy Space Center in Florida. The trip provided photo opportunities for shuttle-spotters across the eastern U.S. The shuttle replaces the Enterprise, a space shuttle engineering model that was displayed at the Udvar-Hazy Center since it opened 2003. 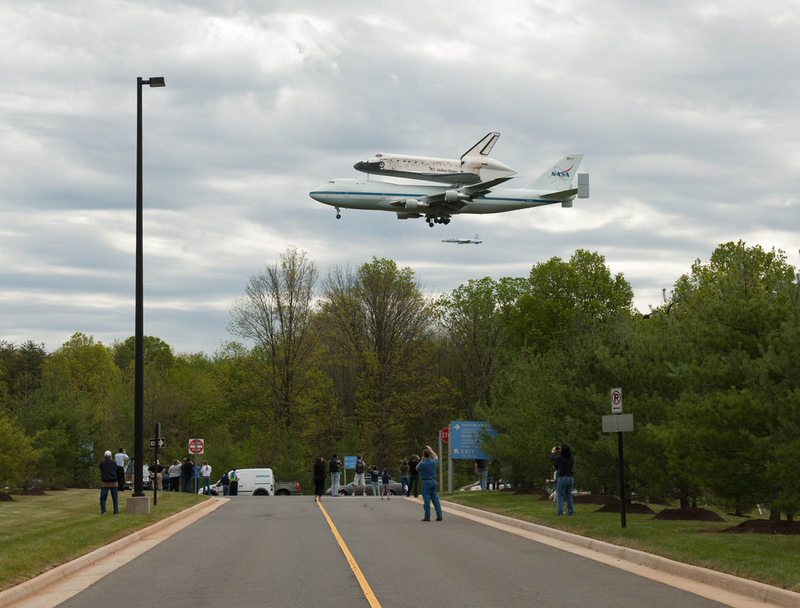 Discovery can be seen at its new home starting on April 19 with a day-long public celebration. This will be the only opportunity to view the Discovery and Enterprise together. The Enterprise will be flown to Intrepid Sea, Air & Space Museum in New York on April 23. Space Shuttle Discovery aboard a shuttle carrier aircraft approach the National Air & Space Museum (Credits: NASA/Carla Cioffi). Video, below, Space Shuttle and 747 mating.